 Piano Tiles 2 is a musical entertainment game for iOS and Andriod that is very hot in the social community today. With several beautiful songs and interesting and exciting interactive features, this game gives the player many fantastic moments of musical entertainment. This game is the sequel to the original "Piano Tiles" Also known as "Don't Tap The White Tile!" There are a great many spin-off versions of the is concept available for download, but Piano Tiles 2 is by far the most well-established and popular version. Piano Tiles 2 is a music game with the classic songs. Just tapping lightly on the black keyboard on the game screen, the player creates a song of his or her own performance style. When playing Piano Tiles 2, the player can experience a unique game that is full of surprises in each melody. The melody of the game is dynamic and the rhythm is determined by the speed at which the player touches the tiles. This requires the player to be careful to not to make errors, because as soon as you miss a tile, the song stops and the game resets. Classic Mode: Try to reach 50 of the displayed tiles in the shortest possible time. Arcade Mode: In this mode, the music notes on the screen move automatically and the player must click them at a fast speed. The person who clicks the most black tiles is the winner. The speed will gradually increase and clicking on the music notes becomes more challenging to each player as the game progresses. The game lasts until players miss a black tile, or click on a white one. Zen Mode: There is a time limit is 15 seconds (or 30 seconds in the pro version) to click the black boxes of the song. Just select player and try to reach as many notes as possible before the time reaches the end. Bomb mode: Avoid the bombs! Rush mode: The player has a limited play time of 1 minute to try to play the song as much as possible. The speed of movement gradually increases, forcing players to constantly accelerate, and setting a new record. Repeat mode: This is similar to zen mode, but the limited play time can be selected again. If the player cannot reach 50 notes of the song ahead of schedule, the game will end. Piano Tiles 2 is one of the most unique, dynamic and delightfully addictive piano-playing apps out there today. The bright and colorful interface gives players the hyper-stimulating and interactive social environment that is the height of entertainment value. In addition, players can share their accomplishments on social networks. If you love music games, this one is a must to add to your collection. Download the free Piano Tiles 2 game on your phone to join in and enjoy the music! It is no secret that apps like Piano Tiles 2 can help you with your hand-eye coordination, and be a great way to pass the time. But there has been some argument, especially among those doing studies on the affects of music apps on the brain, as to whether or not playing musical games actually helps to develop musicianship or the musical ear. Giving out rewards for things that don't really require them. Programs that reward with snacks or special privileges. Things that one student gets that others do not. In the short term, these are effective ways to manage behavior and keep people (kids especially) occupied; however, in the long run, they can be detrimental to the attention span. 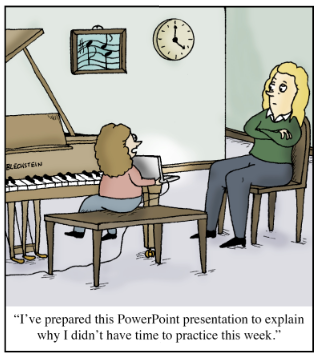 This brilliant and funny cartoon shows how a digital native (the girl having a piano lesson) is much more inclined to spend hours and hours putting together a presentation in a digital medium than she would be to put in the time to learn a real instrument such as the piano. The look of indignation on the teacher's face is certainly understandable, as she in not a digital native, and understands that technically, that PowerPoint presentation took WAY more time and attention away from the actual activity, that could have been accomplished in the same amount of time. There is no question that willingness plays a huge role in the ability to learn something new. That is why digital natives are much more likely to get excited about starting to learn piano on an App like Piano Tiles than on a cumbersome new instrument like an acoustic piano.